I had no idea last February that I would be taking nearly a year off from this place. It wasn’t planned, it just sort of happened. Life got busy, and at the same time I lost the compulsion to document every meal I cooked or ate. Every so often I’d come over here with the intention to write something, but I didn’t really have the focus or the drive to actually do it. Meanwhile, I started working full time at a job that I have grown to truly enjoy. I do a lot of writing there, and am allowed to be creative and somewhat autonomous, and I think that has filled the space that used to be filled by my efforts here. Maybe. I want to keep coming here, though, and sharing with those of you who still check in from time to time. It may not always be recipes or food, but I’ll do my best to make it meaningful. I’ve got lots of fun projects on the horizon in my life: I’m leading the team that’s planning a learning garden at the school I work for, I got a Vitamix for Christmas that I’m having a blast learning to use, I’m heading to Ireland with the family in April, and I’m still trying new things in the kitchen from time to time in an effort to expand and enrich my children’s food vocabulary. So thanks for sticking around and for being patient as I try to figure out how to balance everything that’s going on. So, the Vitamix. I’d been wanting one for a while, and finally bit the bullet and bought a Certified Reconditioned model. I’ve only had it for a couple of days, but so far I LOVE IT. Tonight I made the Harvest Cheddar Soup from the Vitamix website. 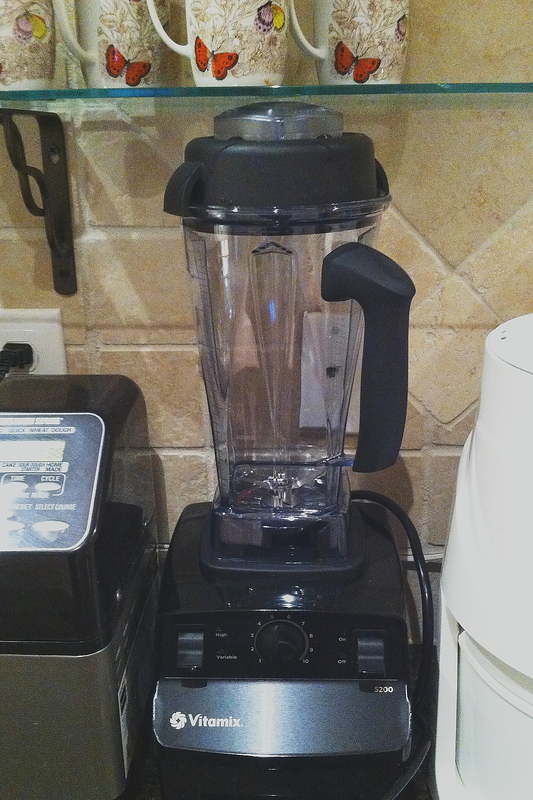 It’s crazy – the blender actually cooks the soup. I didn’t really believe it myself until I tried it. It’s like magic – ingredients go in cold or room temperature and come out steaming hot. Right now I’m just trying recipes that are from the cookbook that came with it, or that are on their website. Knowing me, though, I’m sure I’ll be making stuff up in no time. No worries – I’ll do my best to share that stuff here. 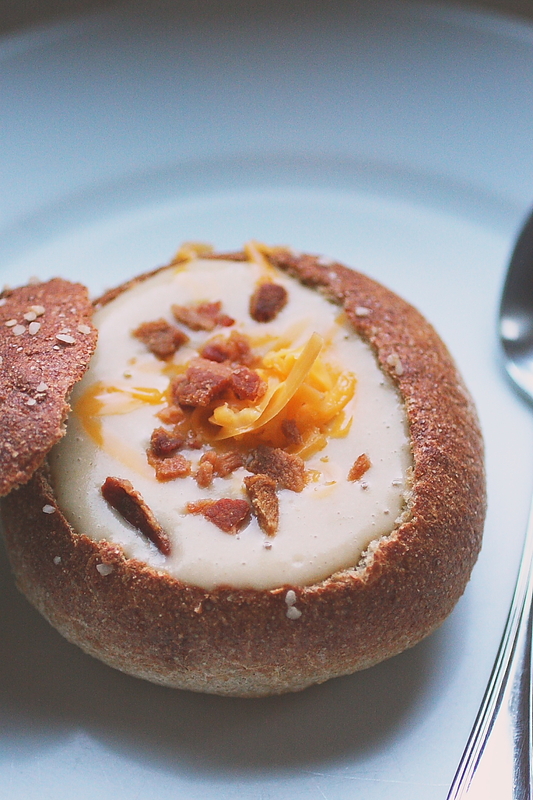 In the meantime, here’s something fun that I made to go along with that Harvest Cheddar soup – Whole Grain Pretzel Bread Bowls. I used the Beer Pizza Dough recipe from my breadmaker’s cookbook as a jumping off point. This recipe starts in the bread machine, but is baked in the oven. 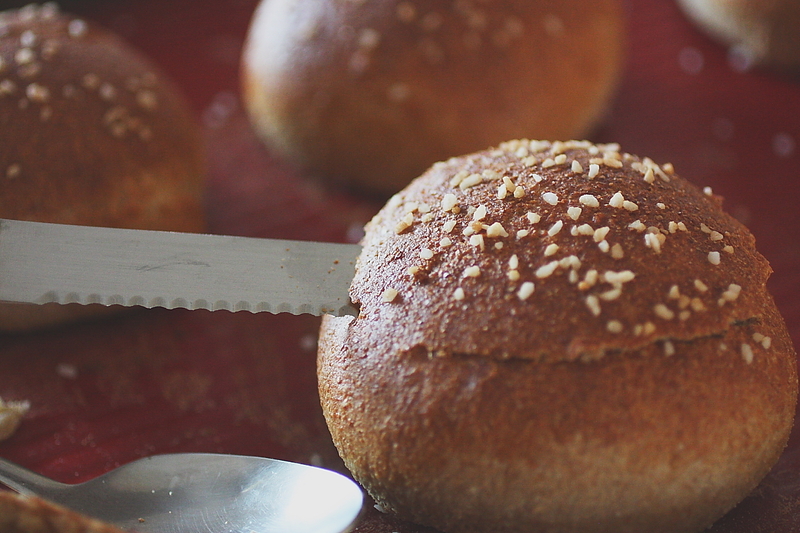 If you don’t have a bread machine, you can use an electric mixer or knead by hand. Add the flour on top. 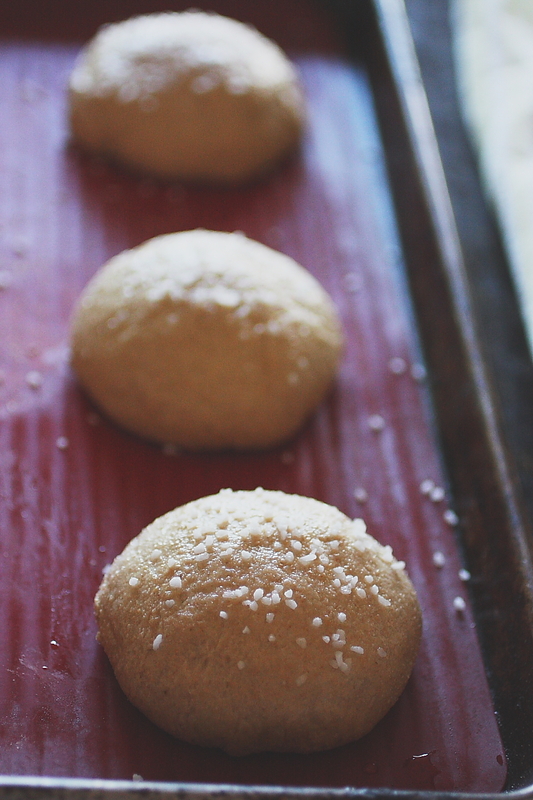 When it’s done with the second rise, turn the dough out onto a floured surface. Bake at 375F for 25 minutes, or until tops are very brown and they sound hollow when you tap them. Once they’ve cooled most of the way, cut the tops off using a serrated knife. Set the top aside (it’s good for dipping in soup later). Scoop the insides out with a spoon. I put all the bread that scraped out into a zip-top bag and put it in the freezer to use later for bread crumbs. Et, voila! 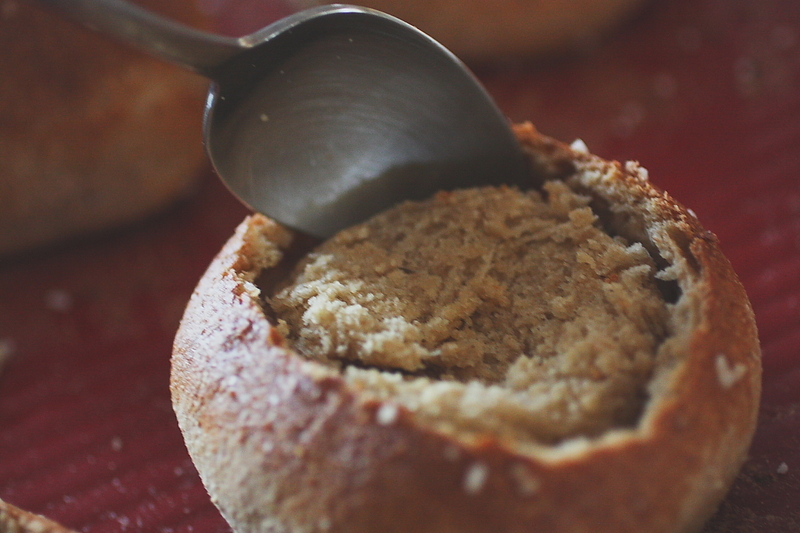 6 individual bread bowls just waiting to be filled with Harvest Cheddar-y goodness. 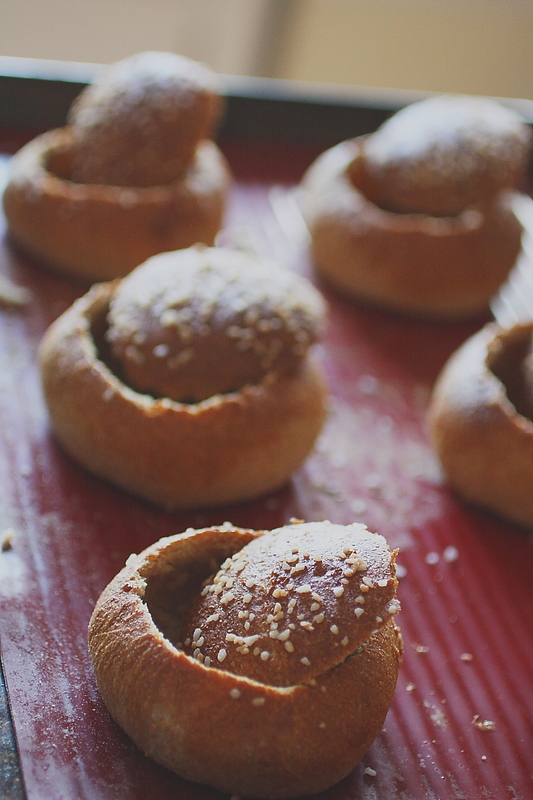 These would also be good as little bowls for dips, filled with chilli, cheese fondue, or just about anything else that you might like to dip bread in. They were a big hit with my family, and are a fun way to make soup a little more interesting (you get to eat the bowl at the end! ).